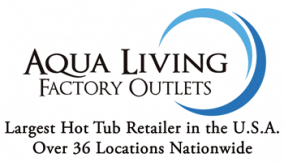 Find a Signature Whirlpool bath at Aqua Living Factory Outlets starting at just $399. Equipped with a high-performance water pump and up to 14 water jets, our Whirlpool baths offer an incredibly relaxing experience that can relieve stress and ease muscle tension with the push of a button. Browse a wide selection of Whirlpool Baths that are equipped with many desirable features such as: Zero flex flooring, color matching jets, sanitary full-draining V jets, anti-fungicide plumbing to prevent the buildup of bacteria, heat sticks, a 10-year warranty on surface fading and cracking, and some with: LED lit waterfalls & LED perimeter lighting packages. All of our Whirlpool Baths for sale at Aqua Living Factory Outlets feature superb warranty protection that is part of the base price including: A 5-year warranty on jet components and internals, a 3-year warranty on blower and pump parts, and a 1-year warranty on electronics and labor. We are the largest retailer of hot tubs in the United States and offer delivery or pickup of Whirlpool Baths from all of our 36 locations throughout America. Explore in-house financing options for Whirlpool Baths.